Air compressor is a must-have tool for any dedicated DIY guy. This is because it will help you carry out a number of tasks including construction jobs, tire inflation, and road maintenance, among others. But why pancake air compressors? The name is derived from the shape of the tank which is flat and oval. Pancake air compressors are most preferred these days for their lightweight and compact design. Therefore, it makes a perfect solution if you want a compressor on the go. There are several pancake air compressors on the market today. And all of them are not created equal. This, therefore, makes getting your own pancake air compressor a bit of a task. There are a number of things you need to consider in order to take home the right product. And the following pancake air compressor reviews will help you make an informed purchase decision. Continue reading. Tank Size: Pancake air compressors with larger tanks will provide you with a more consistent SCFM. Hence, you will be able to do more projects compared to a compressor with a smaller tank. For this reason, consider a compressor with between 4-gallon and 6–gallon tank capacity. This is because such air compressors will give you more power to carry out both light-duty and heavy-duty tasks. Oil-Free Design: While some air compressors require oil for lubrication, others do not. That is why there are compressors with an oil-free design. The oil-free type has more advantages. For instance, it is more convenient and will not stain the surface you are working on. It also makes the machine much lighter than the oil type. Portability: If you would wish to carry your compressor from one place to another, consider one that is highly portable. The portability of a compressor is determined by the weight of the machine. Hence, consider one below 30lbs. Similarly, consider a compressor with a non-slip handle since they’re more comfortable to carry around. Now that you know what you’re looking for in the best pancake air compressor, go through our top selected pancake air compressors to discover your best option. The Excell Air Compressor (U256PPE) is powered by a 1.5 motor that delivers 2.8 CFM at 90 with a maximum pressure of 150 PSI. This machine features rubber feet to prevent it from moving around while it is under use. With the 6gal air tank and start-up voltage capacity of 64V, the Excell U256PPE model is suitable for use in rural areas. Its motor does not require high amperage; as such, it can easily start in cold weather as low as 31 degrees C. What’s more, this machine has the gauges and regulator conveniently located for quick connection and application. This pancake air compressor delivers 2.7 CFM at 100 psi with a maximum pressure of 125 psi. It features a less-oil design which allows for maintenance, easy operation and quick start in cold weather. Operating at 15 amp circuit, this machine is good enough to drive a single air tool and light commercial construction jobs. 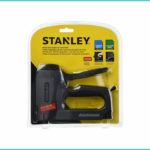 The handle is well-designed to enhance the ease of carrying and quick operation. Furthermore, it is light enough, so you can comfortably use it with one hand without putting so much pressure on the hand and wrist. With 150 psi maximum pressure, the Powryte Elite Compressor allows users to drive more nails. It is an oil-free designed machine for easy maintenance and convenience. This machine features fully packed shroud that protects the motor and pump from job site abuse. And the integrated handle is robust for ease of carrying and portability. Ideally, this compressor has a vertical pancake 6-gallon tank with improved gravity for more stability. Moreover, it is simple to start and operate; thanks to the 2 universal push to connect quick couplers. Equipped with a narrow tank diameter, the BOSTITCH U/BTFP02012 takes up very little storage space. It weighs just 29lbs; meaning it is compact and lightweight for this class of compressors. Operating with 78.5 dBA noise level, this unit is quiet enough and so will not interfere with your neighbors while running. And the design ensures the connectors and gauges are well protected against possible damage. 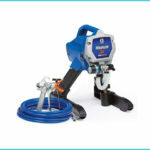 The 6-gallon tank delivers 2.6 CFM at 90 psi with a maximum pressure of 150 psi. In addition, it offers a long life oil-free pump for easy maintenance and convenience. The Campbell Hausfeld Air Compressor is designed to be the best quiet air compressor on the market today. With just 68dBA, this unit works with less noise to provide you with a quiet working environment. It is also durable and ready for a long life use; thanks to the oil-free and maintenance-free pump design. 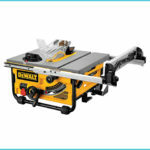 Featuring a maximum pressure of 125 psi, this machine is suitable for a variety of projects such as fastening, nailing, bolting, and inflation. Moreover, it is an 8-gallon pancake tank for stability and user-friendliness. With the high-efficiency motor, the DEWALT Pancake Compressor is easy to start even in cold weather. It is equipped with high-flow couplers and regulator to maximize air tool performance. To give you a low noise working environment, this compressor works with 75.5 dBA noise level. And it offers 2.6 CFM at 90 psi with a maximum pressure of 165 psi. As such, the compressor has a long run time with quick recovery. Besides, this machine has protective rubber legs to help hold it in place while it’s in use. For the best portable air compressor, consider the PORTER-CABLE PCFP02003 model. This is because, at 26lbs, it remains the lightest pancake compressor in its class. It delivers 2.0 CFM at 90 psi with a maximum pressure of 135 psi. 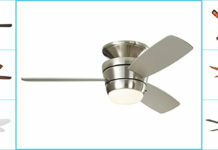 And it is equipped with an oil-free pump to offer easy maintenance and long lasting motor life. The low Amp 12-volt motor starts easily in cold weather to deliver maximum performance. What’s more, the factory installed coupler and extension cord ensures quick access to regulated air. The Hitachi Pancake Compressor is a reliable unit that can deliver rugged performance and operate multiple nailers depending on the application. This model boasts heavy-duty bend restrictors and remains flexible even in extremely cold temperatures. 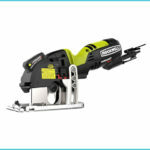 It includes 18-gauge brad nailer that is well-balanced and lightweight for easy maneuverability. Ideally, the compressor delivers 2.8 CFM at 90 psi with a maximum pressure of 150 psi for longer run times. 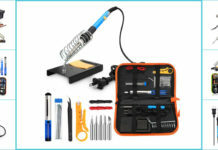 Better yet, this kit comes with pneumatic tool and safety glasses for added convenience. Designed to last, the BOSTITCH Oil-Free Compressor is equipped with a high-flow regulator to maximize air tool performance. It weighs only 29lbs, making it one of the lightest pancake compressors in the industry. 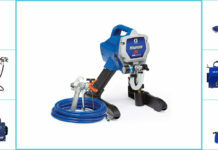 The oil-free pump design requires little to zero daily maintenance and helps reduce the risk of oil stains on surfaces. The BOSTITCH compressor delivers 2.6 CFM at 90 psi with a maximum pressure of 150 psi. It operates at 78.5 dBA to provide you with a quiet working environment. At the same time, it has 2 universal couplers, so it can easily support two users simultaneously. The PORTER-CABLE (C2002) is the best 6-gallon air compressor due to its innovative features. 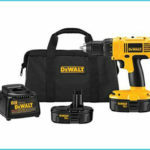 It is a 13-piece accessory kit that will provide you with a variety of inflation and cleaning tasks. The 2 regulated air couplers can easily support two users at the same time. Better yet, the low amp 12V motor starts easily with an extension or in cold weather. This compressor delivers 2.6 CFM at 90 psi to allow for quick compressor recovery time. And it has a maximum pressure of 150 psi which helps store more air in the tank for a longer run time. Pancake air compressors are not only for home use but also they are ideal for light duty commercial tasks. The best compressor is more efficient and very handy. And we believe that the above reviews and guideline will provide you with the necessary details you need. So, make sure you go through our compilation.